There is nothing more satisfying than the sound of gel nails when they tap against surfaces whether that be a wooden table top, the side of a ceramic mug, or keyboard keys as you type. However, despite how aesthetically pleasing your nails make once menial hand-orientated everyday tasks, eventually, they must come off for one reason or another and what’s uncovered underneath is rarely a pretty sight. The removal process for gel nails involves soaking your nails in acetone for approximately 10 minutes. This has an extreme drying effect on your nails as it draws the natural oils out of the nail and surrounding skin. It is important to rehydrate your natural nails after gel nails are removed to prevent breakage. One of the easiest products is to use nail strengthening polishes. This protects your nails from direct contact with water and acts a deterrent to biting your nails. Sally Hansen’s Hard As Nails polish is a cheap but very effective strengthening polish made with nylon and silk proteins. Nylon is very strong and protects nails from chipping, splitting or breaking. It is available at Boots for €6.29. The natural properties of petroleum jelly make it an excellent hydrating solution for nails as it takes a long time for it to dry out. Including petroleum jelly products such as Vaseline on your bare nails in your morning and night-time routine helps your nails to retain moisture. At night wearing gloves after applying Vaseline helps provide an extra boost during this key period where you’re least likely to bite or pick at your nails. 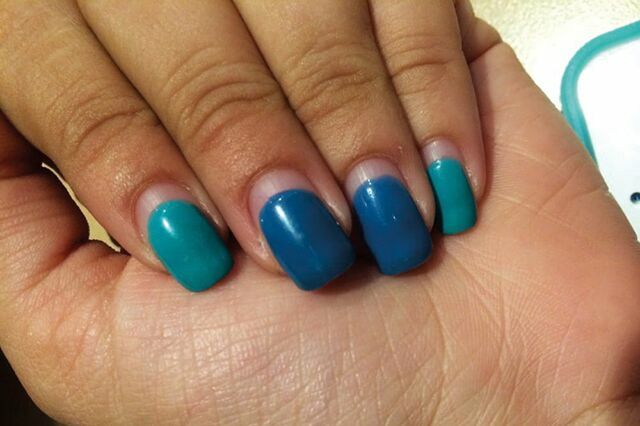 Vaseline should be focused on the cuticle as this is from where the nail grows. For nails that are in desperate need of urgent attention, olive oil treatments are a great way to get moisture directly under the nail bed. It is a slightly time-consuming treatment which can take anywhere between 15 to 30 minutes. It is key to soak your nails in warm olive oil in order to heat up the nails and speed up the rate of absorption. Olive oil can also be applied directly to the cuticles to maximise the effects. Natural nails don’t need direct contact with the air to be healthy as they receive nutrients directly from the blood. However, you should take a two-week break between gel treatments every so often to avoid putting your nails through the acetone process.